GAIN Capital, a global provider of online trading services, today announced the addition of nine new currency pairs and six equity index CFDs to its FOREX.com product offering. The new available currency pairs include Eastern European pairs including the Polish Zloty (USD/PLN, EUR/PLN), Czech Republic Koruna, (USD/CZK, EUR/CZK), Hungarian Forint (USD/HUF, EUR/HUF) and Turkish Lira (USD/TRY, EUR/TRY.) In addition, the South African Rand/Japanese Yen cross (ZAR/JPY) is now offered, a currency pair popular among carry traders. “Today’s product expansion marks another milestone in our commitment to providing our clients access to the most widely traded global markets, including forex, stock indices, or commodities. As part of this commitment we are constantly looking at ways to enhance and expand our product and service offering,” said Glenn Stevens, CEO, GAIN Capital. Clients of FOREX.com can now trade 48 currency pairs, ten equity index CFDs, plus gold, silver, and oil CFDs. *Foreign exchange and CFD trading involves significant risk of loss, and is not suitable for all investors. Potential traders should make sure they understand the risks involved, seeking independent advice if necessary. 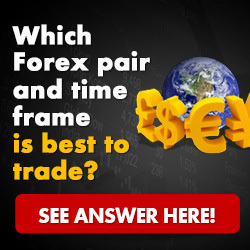 FOREX.com’s Contracts for Difference (CFDs) are offered through GAIN Capital – FOREX.com UK, Ltd, and GAIN Capital – FOREX.com Australia Pty Limited, subsidiaries of GAIN Capital Holdings, Inc., and are not available to US residents. The CFDs are offered with a margin requirement of one percent. A pioneer in online forex trading, GAIN Capital operates FOREX.com, one of the largest and best-known brands in the retail forex industry. It also provides execution, clearing, custody and technology products and services to an institutional client base including asset managers, broker/dealers and other financial services firms. With offices in New York City; Bedminster, New Jersey; London; Sydney; Hong Kong; Tokyo and Seoul, GAIN Capital and its affiliates are regulated by the Commodity Futures Trading Commission (CFTC) in the United States, the Financial Services Agency (FSA) in the United Kingdom, the Financial Services Agency (FSA) in Japan, the Securities and Futures Commission (SFC) in Hong Kong, and the Australian Securities and Investments Commission (ASIC) in Australia. GAIN’s investor group includes private equity firms 3i, VantagePoint Venture Partners, Tudor Ventures, Edison Venture Fund and Cross Atlantic Capital Partners. For company information, visit www.gaincapital.com or www.forex.com. *Includes customer trades, rollovers, and counterparty transactions.